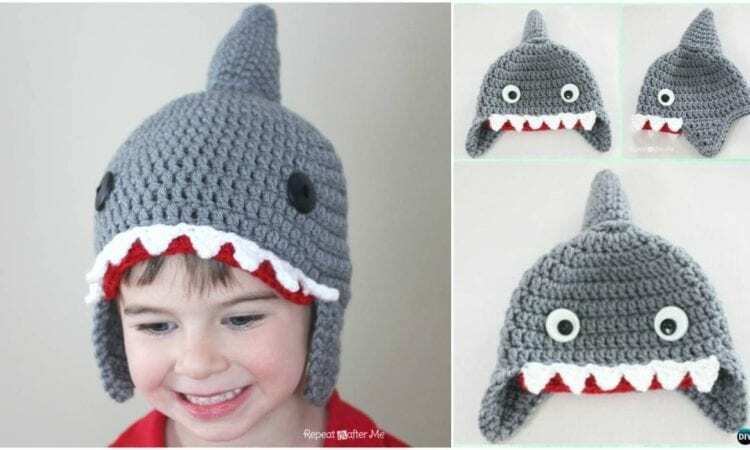 Such an amazing shark hat is a must for your child or YOU this winter! Yes, for you too! This pattern is available for kids any age, from 0 to 100. So if you are a Sharknado or Shark Week lover then this hat is just for you! It could be both – a charming part of a Halloween costume and an awesome winter or fall cap! Your friends and family members will love it! You can choose form sizes: 0-3 months, 6-9 months, 9-12 months, Toddler/Preschooler, Child, Teen/Adult. The link to the free pattern is below. Shark Hat – the free pattern is here. For more ideas and free crochet patterns join our Facebook group.